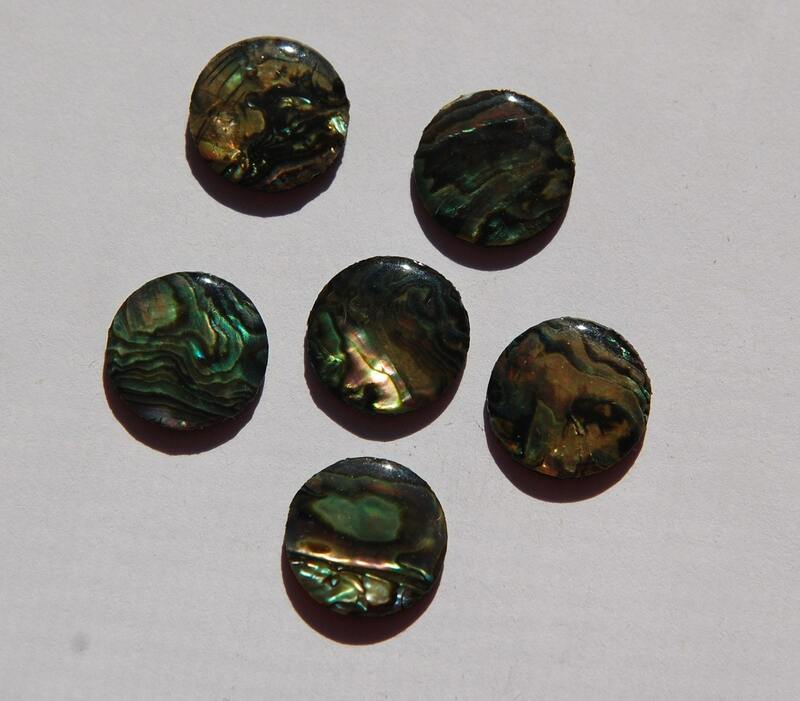 These are vintage paua shell cabochons. These were sold to me as real shell but I am thinking they are faux shell. These measure 15mm. You will receive 6 pieces. very handsome... i'll use these with polymer clay. they arrived right away and i am ready to start working with them!!! ALWAYS A WONDERFUL WIDE SELECTION OF ABOUT ANYTHING YA NEED! GREAT SELLER- BEEN DOING BIZ TOGETHER 4 YRS! THANKS!! !